One thing I have in common with Kurt Vonnegut, we both studied Anthropology in graduate school. Here is a pretty great info graphic based on his rejected thesis at the University of Chicago. I'm guessing this was before Clifford Geertz. 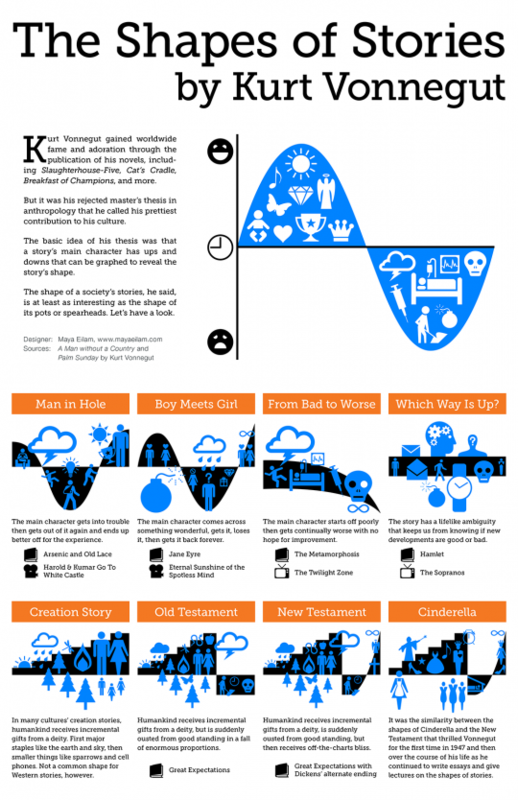 Looks pretty similar to my previous post on Calculus and Storytelling.